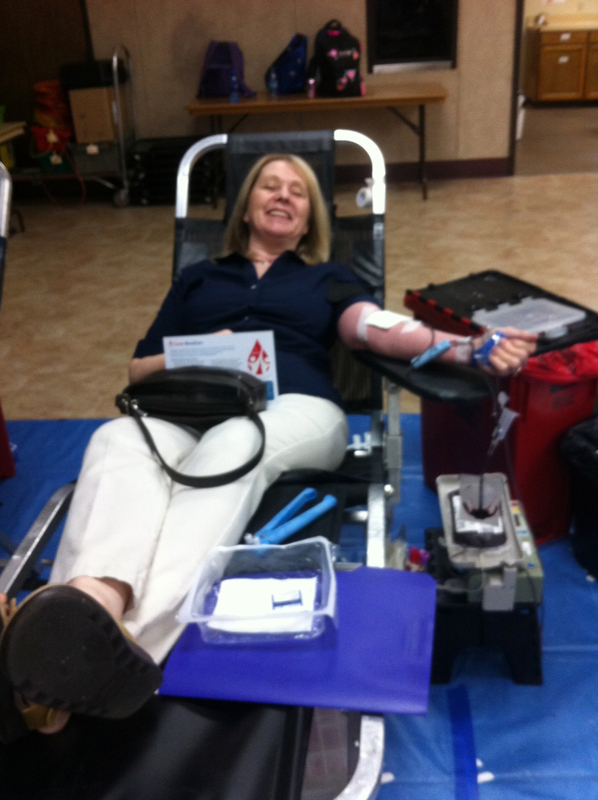 Bonnie Espree’s blood donation could contribute to saving as many as three lives. 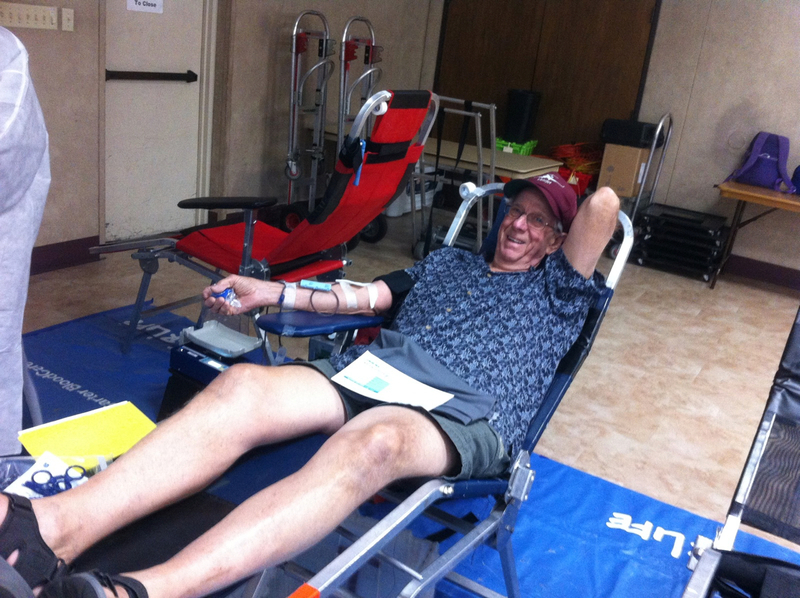 Lou Lemons jumped right in as the council’s new director of health activities by overseeing the blood drive that was held in Holy Spirit’s community center dining room on Sunday, Aug. 19. The drive collected 40 donations. Hats off to Lou and those who helped: outgoing health director Patrick Stepniewski, Andy Goza, Jeff Miller, Larry Balagna, John Espree, John Balasa and recent transfer Doug Maddox. 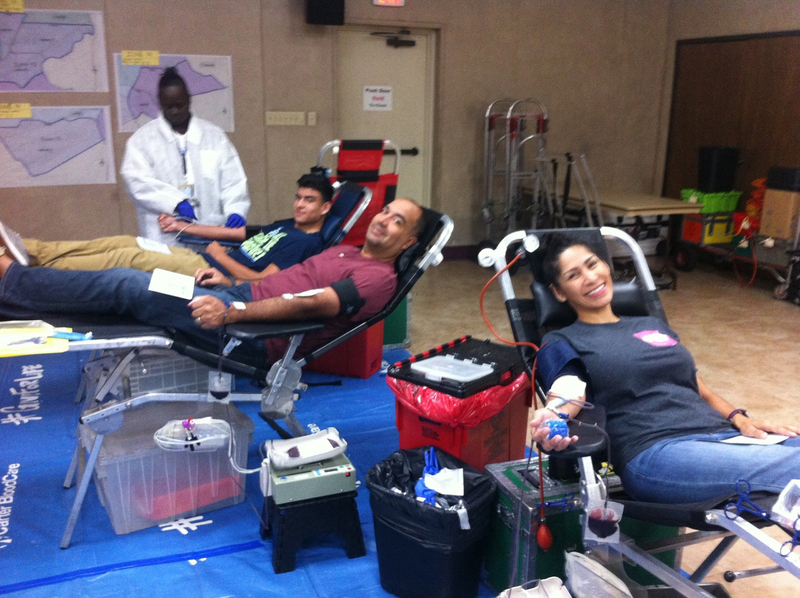 I want to thank all of my brother Knights for their support and encouragement during our recent blood drive. Many parishioners, especially Knights, offered words of encouragement and support during the two weeks of solicitation for donors at the Saturday and Sunday Masses. I had little to do except to show up in the narthex because Cindy Meyer (Holy Spirit’s director of community life) had set up a nice looking space from which to work. 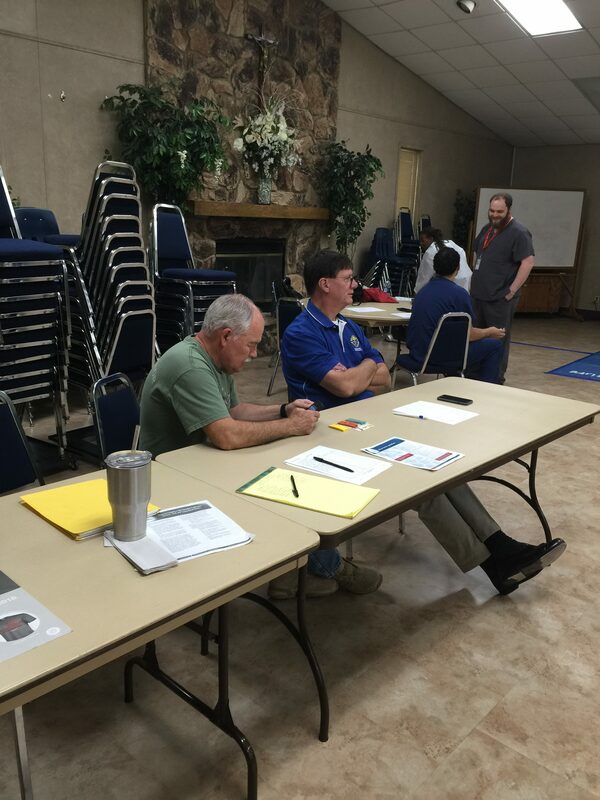 Thanks to Andy Goza and Jeff Miller for arriving early Sunday morning to open the dining room, for helping to clear spaces for Carter BloodCare to set up, and for assisting parishioners to sign in for the blood draws. 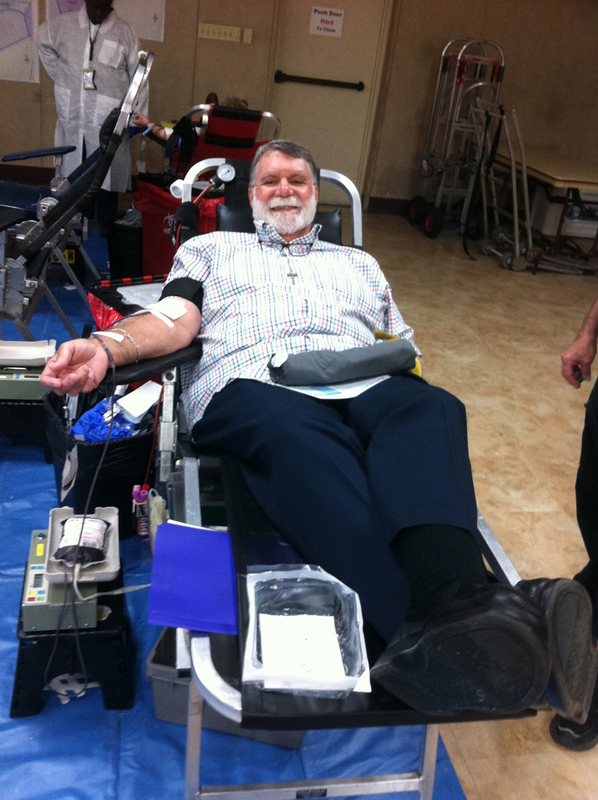 I’m also thankful for the “new guy,” Doug Maddox, for arriving early and helping to “man” the narthex and reminding those leaving Mass that the blood drive was underway. Thank you to John Balasa for relieving Doug at the narthex post and staying to assist with resetting the dining room after the Carter personnel departed. Thank you to John Espree for also arriving early to assist with those signing up for blood draws and for staying throughout the drive and helping with resetting the dining room. Thanks to Pat Stepniewski for mentoring me before and during the blood drive and for providing fruit and pastries for the donors. 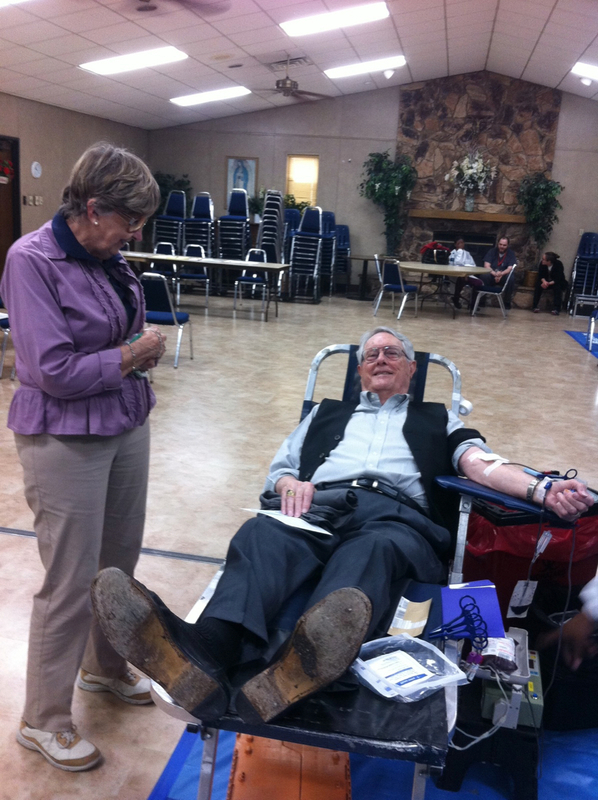 Thank you to the 50 parishioners who attempted to donate blood to Carter BloodCare. 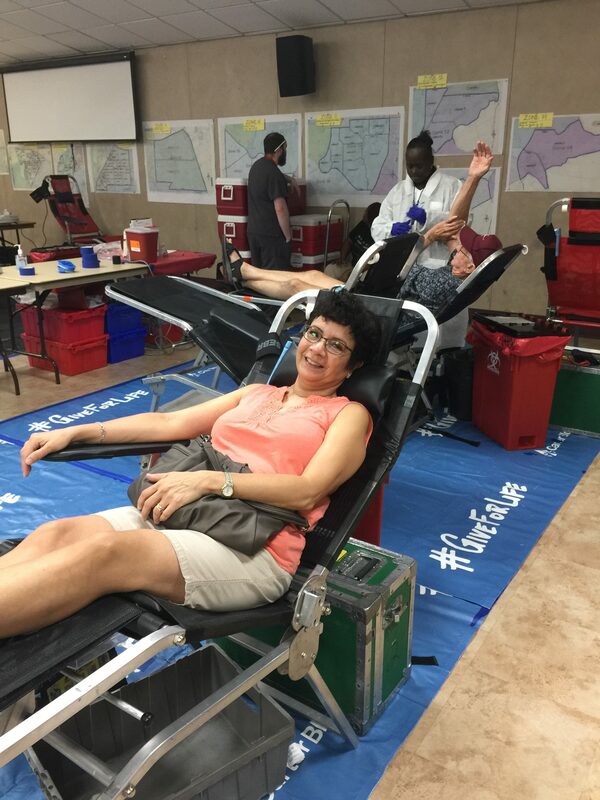 We achieved 32 whole blood donations with four double red blood cell donations, which count double, for a total donation of 40 units. Carter figures that each unit could contribute to saving three people. 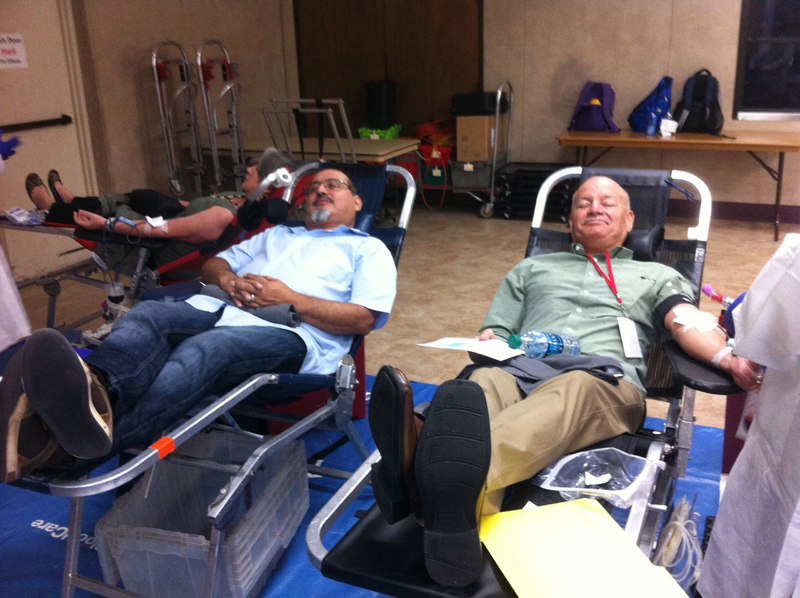 So, Holy Spirit could help save as many as 120 people from the efforts at the 19 August blood drive. Thanks again, brother Knights. It feels good to be a part of a winning team. 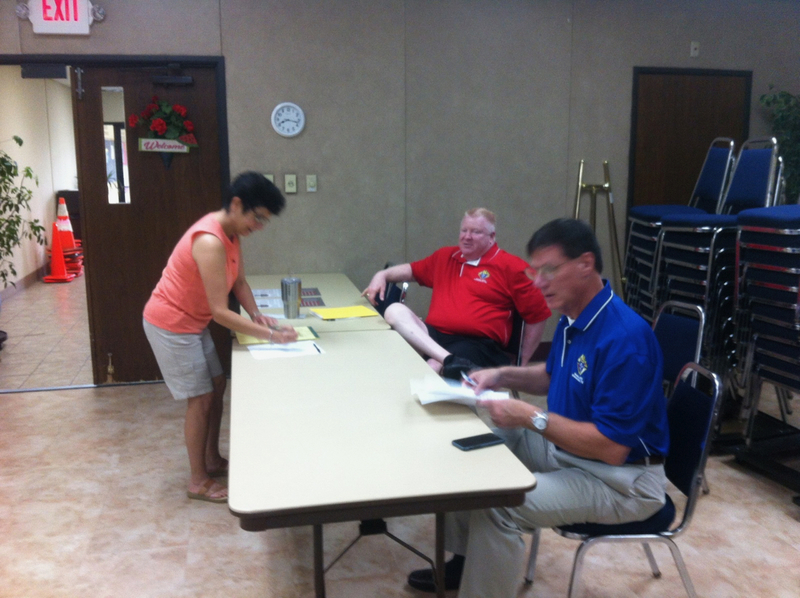 Lou Lemons, Health Activities Director and Jeff Miller, Deputy Grand Knight work the reception table at the Blood Drive in August 2018.